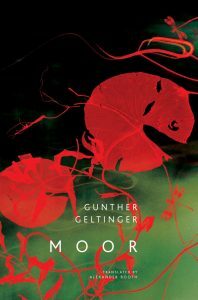 Congratulations to NER author Alexander Booth on his recent translation of Gunther Geltinger’s German Moor. Moor is . 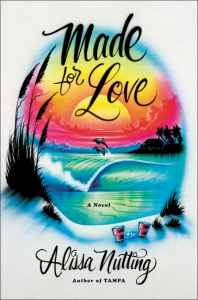 . . a story of escaping the quicksand of loneliness and of the demands we make on love, even as those surrounding us are hurt in their misguided attempts to bear our suffering. Powerfully tuned to the relationship between human and nature, mother and son, Moor is a mysterious and experimental portrait of childhood. Booth is a writer and translator currently living in Berlin. A recipient of a PEN/Heim Translation Fund Grant for his translations of Lutz Seiler’s in field latin (Seagull Books, 2016), he has also published his own poems and other translations in numerous print and online journals. His poetry translations appeared in NER 37.3. Moor can be purchased from the University of Chicago Press and other booksellers in December. NER staff reader and author Benjamin Ehrlich is publishing the first English translation of the lost dream diary of Spanish anatomist Santiago Ramón y Cajal, illustrated with Cajal’s own sketches. The text is accompanied by an introduction to the life and work of Cajal, his relationship with the famed Viennese psychoanalyst, Freud, and the historical context surrounding the contributions of two great dueling intellects. 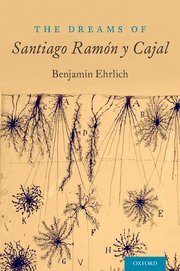 Ehrlich’s translation of Cajal’s Café Chats has appeared previously in NER and can be viewed here. Cajal (1852–1934) explored the microscopic world of the brain and found a landscape inhabited by distinctly individual cells, later termed neurons. “The mysterious butterflies of the soul,” he called them, “whose beating of wings may one day reveal to us the secrets of the mind.” Although he ranks among the greatest scientists in history, the name of the Nobel Prize-winning “father of modern neuroscience” is not as well-known. Before he was a neuroanatomist Cajal conducted psychiatric experiments and before Freud, his contemporary, became a psychiatrist, he worked in neuroanatomy. In public, Cajal spoke respectfully about Freud, but in private, Cajal rejected the man and his theories. In order to disprove Freud’s “lies,” Cajal started to record his own dreams in a diary, part of a notably personal book project, which he worked on from 1918 until his death in 1934. For reasons unknown, Cajal never published this work. Until recently, it was assumed that the manuscript had been destroyed during the Spanish Civil War. Benjamin Ehrlich is a Salzburg Global Fellow. 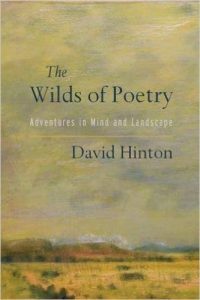 His work has appeared in Nautilus and NER 33.1. He is a co-founding editor of the Beautiful Brain, an online magazine devoted to art and neuroscience. Ben graduated from Middlebury College with Highest Honors in Literary Studies and currently serves as a nonfiction reader for NER. The Dreams of Santiago Ramón y Cajal is now available for pre-order and will be released on December 13, 2016 by Oxford University Press. 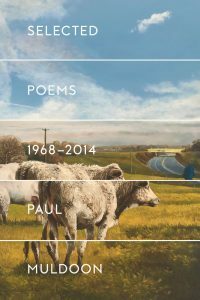 Replacing an earlier selected, Paul Muldoon publishes Selected Poems 1968-2014 this month from Farrar, Straus, and Giroux. 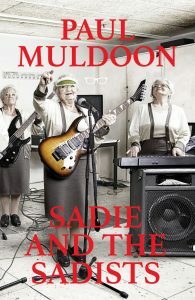 Muldoon, originally from Ireland, is Howard G. B. Clark ’21 Professor at Princeton University, Bread Loaf School of English faculty, and poetry editor of the New Yorker. His most recent collections are Moy Sand and Gravel, for which he won the 2003 Pulitzer Prize for Poetry, Horse Latitudes (2006), and Maggot (2010). His essays on Fernando Pessoa, Emily Dickinson, and Seamus Heaney have appeared in NER 23.4, 24.2, and 34.2, respectively. 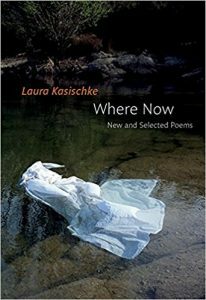 Selected Poems may be purchased from FS&G, or from your local independent bookseller. 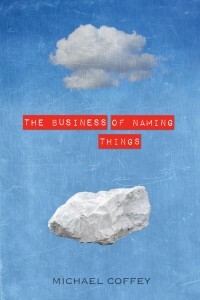 NER congratulates contributor Michael Coffey on his first collection of short stories, The Business of Naming Things (Bellevue Literary Press, 2015), which includes his story “Sons,” originally published in NER 34.1. Coffey’s essay “Waiting for Nauman” has appeared in our online NER Digital series, as well. 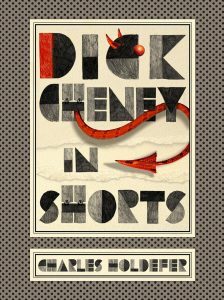 Publisher’s Weekly: There is no conventional narrative here… This collection which features first-, second-, and third-person narration, is vibrant and unsparing. Edmund White, author of Inside a Pearl and A Boy’s Own Story: “Michael Coffey brings us so close to his subjects it is almost embarassing. Whether he’s writing about a sinning priest or a man who’s made a career out of branding or about himself, we can smell Coffey’s protagonists and feel their breath on our cheek. Like Chekhov, he must be a notebook writer; how else to explain the strange quirks and perfect but unaccountable details that animate these intimate portraits? Michael Coffey has published three books of poems, a book about baseball’s perfect games, and co-edited a book about Irish immigration to America. He is a former co-editorial director of Publishers Weekly. 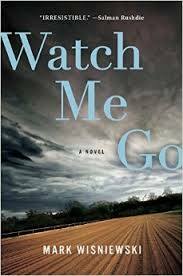 We are pleased to announce the publication of NER contributor Mark Wisniewski‘s newest novel, Watch Me Go (Penguin Putnam). His story “Karmic Vapor” appeared in NER 25.1. Mark Wisniewski has published two novels, Show Up, Look Good and Confessions of a Polish Used Car Salesman. His stories have appeared in a number of publications including Southern Review and Antioch Review. 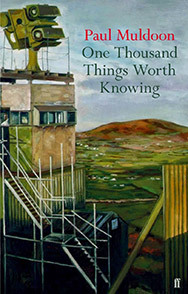 Congratulations to NER contributor Paul Muldoon on the publication of his newest book of poetry, One Thousand Things Worth Knowing: Poems (Farrar, Straus and Giroux, 2015). Muldoon, originally from Ireland, is Howard G. B. Clark ’21 Professor at Princeton University and poetry editor of the New Yorker. His most recent collections are Moy Sand and Gravel, for which he won the 2003 Pulitzer Prize for Poetry, Horse Latitudes (2006), and Maggot (2010). His essays on Fernando Pessoa, Emily Dickinson and Seamus Heaney have appeared in NER 23.4, 24.2, and 34.2, respectively. It is with pleasure that we announce the release of NER contributor Philip Metres‘s newest poetry collection, Sand Opera (Alice James, 2015), an exploration of war in the modern age through examinations of the Abu Ghraib prison, childhood perspectives, and the role of the US government. Metres is the author of A Concordance of Leaves, abu ghraib arias, To See the Earth, Behind the Lines: War Resistance Poetry on the American Homefront Since 1941, and other books. 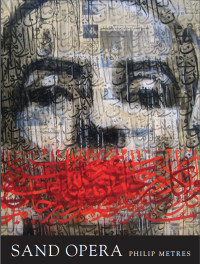 His work has appeared in Best American Poetry and has garnered numerous awards, including two NEA fellowships, four Ohio Arts Council Grants, the Arab American Book Award, and a 2014 Creative Workforce Fellowship. He teaches literature and creative writing at John Carroll University in Cleveland, Ohio. Metres’s translations from Russian were published in NER 34.3-4, and his poetry has appeared in 22.3, 23.4, and 25.4.